Author: Klimasewiski, Marshall N. Set In . . .
Cyrus Collingwood, age nineteen, suspects that he may be a genius without a calling. He is a year-round resident of East Sooke, Vancouver Island, and has a natural resentment for the summer cottagers who descend on its rocky beaches. When two vacationing American couples arrive?old friends with a complicated history?they become his obsession. Greg and Nicholas are engaged in an academic collaboration that looks more like competition; Samina and Laurel are old friends who have grown apart and developed a strange jealousy. Cyrus spies on the cottagers through their windows, then begins to insinuate himself into their lives. When one of the cottagers goes missing, no one will look at any of the others the same way again. 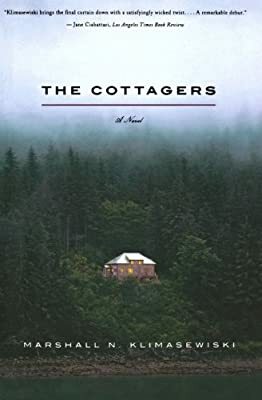 Combining the eerie suspense of Patricia Highsmith and the literary fortitude of Ian McEwan, The Cottagers is about the discrepancy between the lives we live and the versions of those lives that trail behind us.